Marriage is a gift of God, intended for the joy and strength of those who enter it for the wellbeing of the whole human family. Gloria Dei is pleased to offer the blessing of Jesus Christ to couples of all sexual orientations and gender identities. 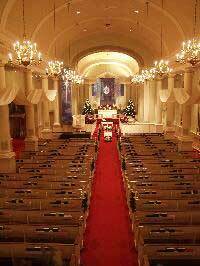 We welcome both members and non-members to be married in our beautiful sanctuary or chapel. Because each wedding ceremony is unique, we invite you to call our church administrator, Jeanne Hanson, 651-699-1378, for further information about scheduling and costs. We can also provide you with our wedding booklet that will help with your planning and describe the church’s policies. When a date has been scheduled and deposit received, one of our pastors will be assigned to work with you in your wedding planning. All of our pastors will require three to five sessions for pre-marital counseling and liturgy planning. As part of this required preparation, couples are asked to take an assessment with Prepare-Enrich and attend a financial planning Money For Two Workshop with Pastor Don Fulton, a financial coach and Gloria Dei member. We also provide a wedding coordinator and music director who can assist you in your planning. We pray that this time of preparation can help strengthen marriage and prepare of a life of joy and happiness.